The first signs of spring are already blooming in the city. Sure, it’s a little weird to see cherry blossoms in January (especially when snow is in the forecast), but when it’s paired with a bluebird sky and sunshine bouncing off those glittering glass skyscrapers, I’ll take it! 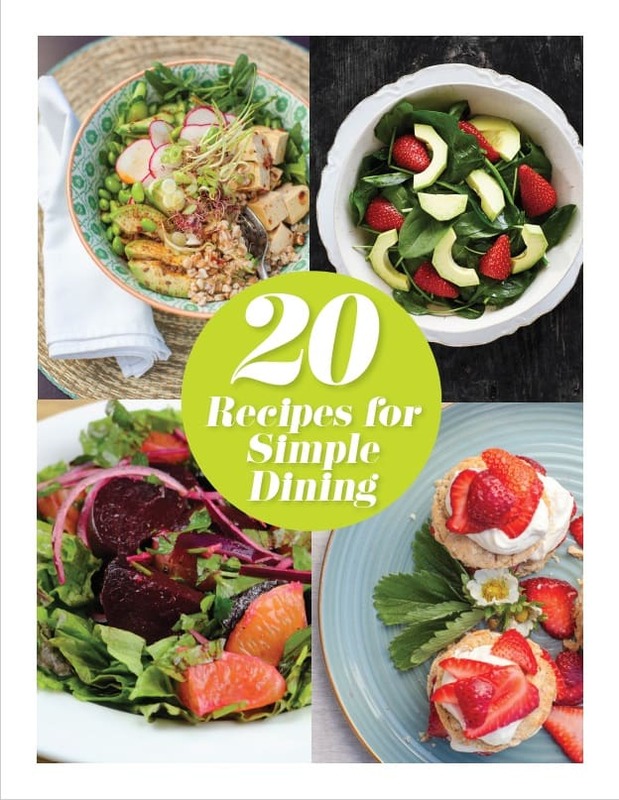 In the meanwhile, enjoy all the delicious new things in the city and make plans to leave town for a #FoodAdventure. ChichaUber-delicious East Broadway restaurant Chicha is throwing a ‘Peruvian Basics 101’ cooking and cocktail class so you can learn how to make tasty treats such as the perfect Pisco Sour, comforting empanadas and super-fresh ceviche at home. Chef legend Shelome Buvette will be on teaching duty, so gather some friends and go learn from one of the best. I had no idea Vancouver had a Chocolate Social Club, but it does—with the very excellent mission of: “Connecting people to chocolate, knowledge, and each other for a more delicious future.” So, if you dream of learning more about bean-to-bar chocolate with a group of like-minded souls then good news: there’s a meet-up on Sunday, February 17th from 11 a.m. till 1 p.m. at Earnest Ice Cream on Quebec street with the theme of a visit to Montreal. Tickets are just $10 to cover costs and it sounds super fun! Hunnybee BrunchonetteIt can be tough making a success of a new restaurant in Vancouver; from high rent to fickle clientele, there are a million ways for things to go wrong. 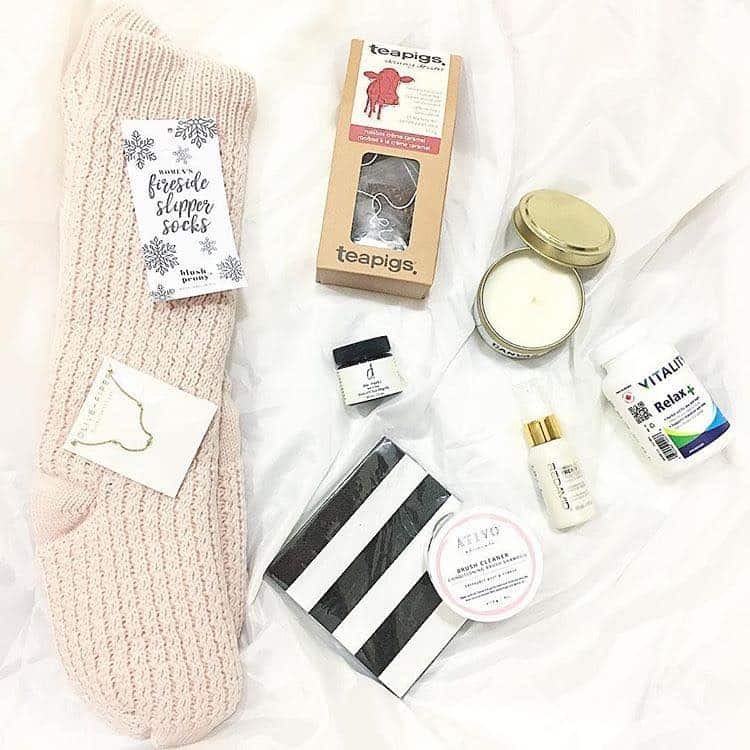 So hats off to the crew at Hunnybee Brunchonette and Soap Bar who are trying something new by sharing their day and night space! 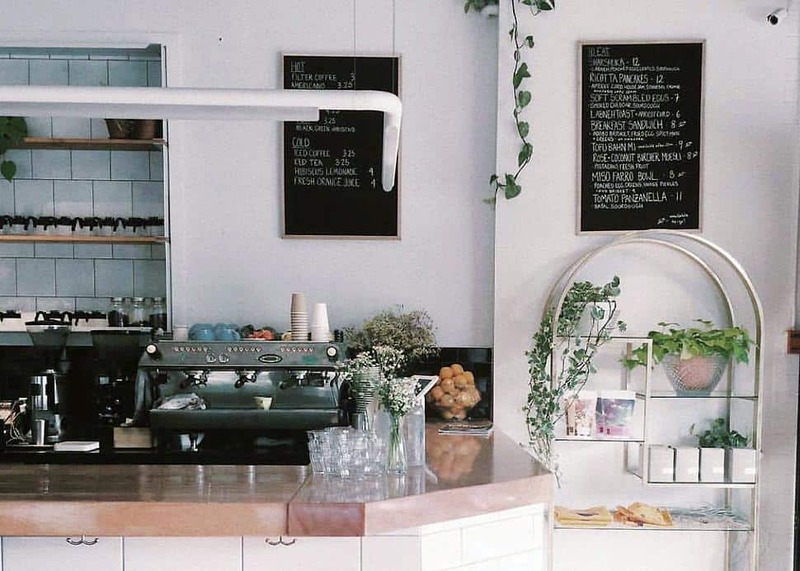 Hunnybee is the new venture from the excellent crew at The Birds and the Beets, where by day they’re focusing on all things brunch with excellent coffee and all the eggs and avo toast your millennial heart could desire. By night (from Wednesday to Saturday), Hunnybee transforms into a friendly neighbourhood cocktails-and-dumplings bar with veteran bartender Tyson Davies at the helm. 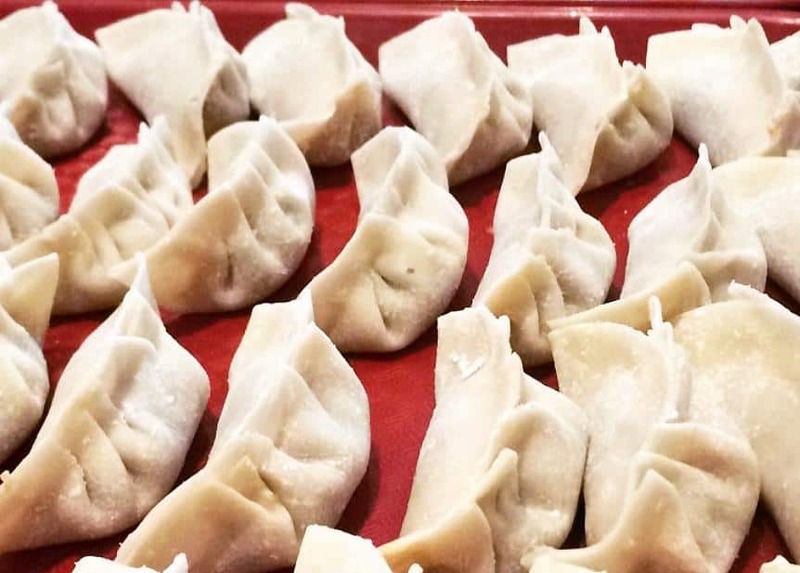 Dumplings are provided by Chicha restaurant’s super-talented Kumiko Umeno, and popups are planned with cult dumpling slinger, the Dumpling King. Super cool and super tasty—go check 'em out! Instagram/Ugly DumplingSpeaking of dumplings, I finally got to Ugly Dumpling this month and now I know what everyone is raving about. Sherry and dumplings? Hells yes! 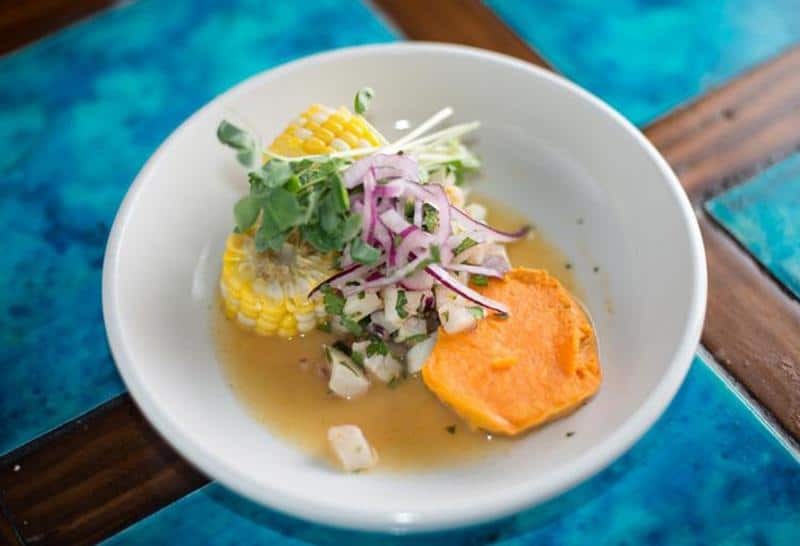 A match made in tasty things heaven… I am still swooning over the excellent Dungeness crab salad that I had there—such delicate, light bright flavours! Everything we ordered shone with a perfect balance of sweet and spice, tangy and earthy. So, so good. And their sake list is epic too. They have an omakase menu for $50 for seven courses, so grab a few friends and dive in. You will not be disappointed. Starting in February, YEW is running a 50 percent off Vino’Clock promo from Sunday to Wednesday, 5 p.m. till close on selected wines. Bargains include one of my all-time favourite Chardonnays from B.C.’s Checkmate, the 2013 Little Pawn at $110 instead of $220 (this is a steal as it’s the same price as direct from the cellar door! 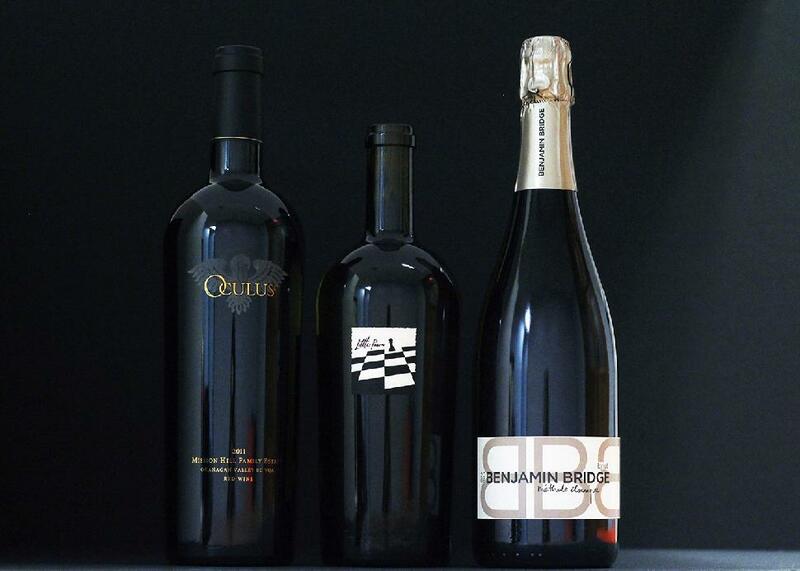 ); Mission Hill’s Oculus is $167 instead of $335 and Nova Scotia’s delicious Benjamin Bridge sparkling is $72 instead of $145. There are some absolute steals from Napa, Bordeaux and Champagne, too! Any time you get to taste amazing wine at a killer price seems like a pretty good deal to me, so hop on over to YEW with a couple of cork dork chums and get some! One of my favourite things on earth is a perfectly cooked croqueta. Done right, this little fried ball of joy takes two days to make as your béchamel sauce needs to set overnight. It’s a lot of effort for a snack which is gobbled down in seconds but man, it’s so worth it, as a good croqueta is one of the most delicious things on earth! Unfortunately, a good croqueta is also hard to find: folks skimp on the necessary prep, don’t use good jamon (ham) and generally mess it up. 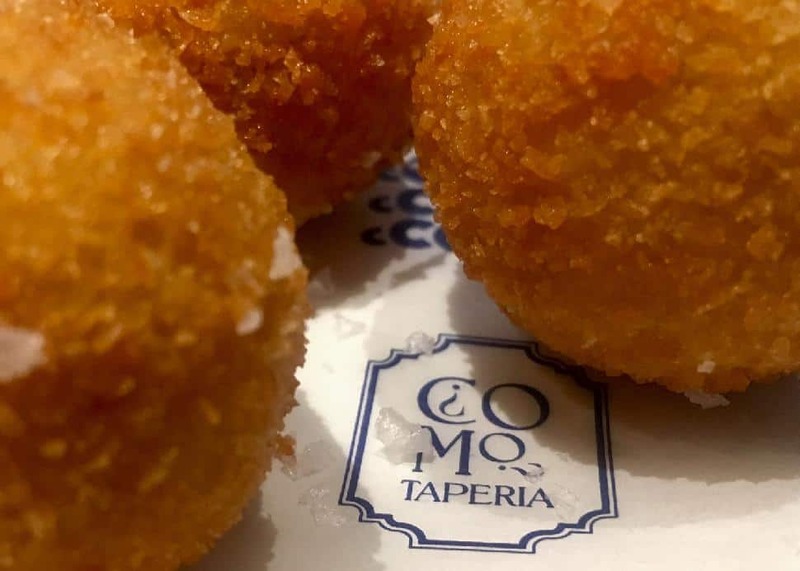 So, if you’ve never tried a proper one before, fight your way through the crowds and chow down on an order (or two) at the newly opened Cómo Taperia on East 7th and Main, because their creamy béchamel sets overnight and it’s made with shredded 24-month aged jamon Serrano. Pair with a glass of their vermouth on tap and you have just guaranteed yourself a brief period of pure happiness. Sea to Sky GondolaTake a quick drive up to Squamish to enjoy a guided snowshoe expedition at the top of the Sea to Sky Gondola and then pair that with fondue in the lodge afterwards. 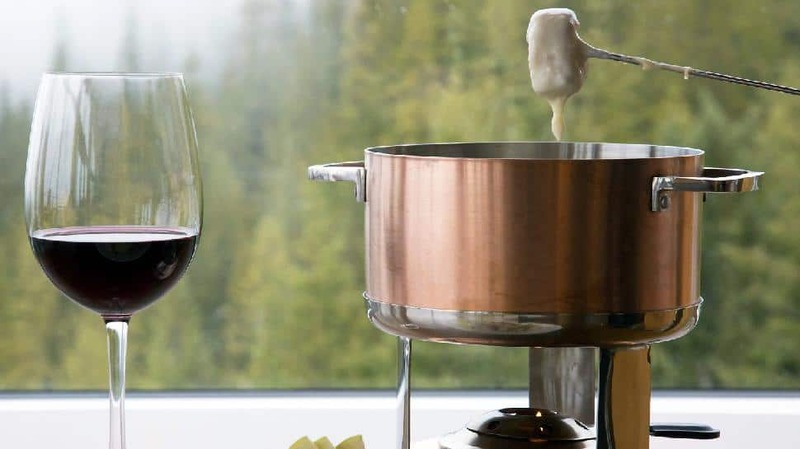 Excitingly there are six different kinds of fondue—from the classic Swiss to Scandinavian with Vacherin cheese, icewine, Kirsh and smoked salmon, and a Quebecoise with Oka cheese, Blanche de Chambly, apples and apple wood cheddar. It’s the 10th annual Island Spirits and Beer Festival in Victoria on Sunday, February 17th at Distrikt Nightclub. Explore some of the finest beer, spirits and cider Vancouver Island has to offer. A $25 ticket includes two 4 oz beer tasters or ½ oz spirits tasters, plus one food item. 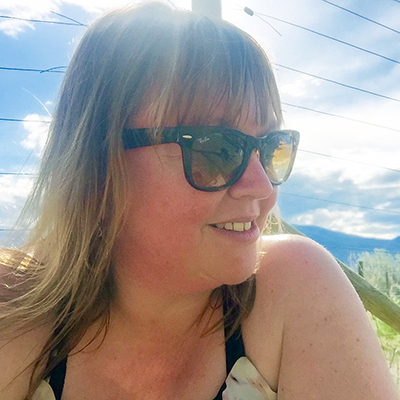 On Sunday, February 3rd, join the Paisley Notebook for a night of edible storytelling for the first in her artist series popups at the Laurel Packinghouse in Kelowna. “In partnership with the Kelowna Museums Society, this first dinner in the three-part series teams up with UBCO Master of Fine Arts alumna, Meg Yamamoto to turn our communal long table into an art installation. The four-course menu is inspired by looking at the Okanagan as not only a beautiful place, but a delicious place." WinefestIt’s the most wonderful time of the year! No, not Christmas, Winefest! Some 160 wineries from around the world will be arriving in the city for seminars, tastings, special dinners and brunches. It’s a wonderful chance to learn more about wine from around the world from the folks who make it. 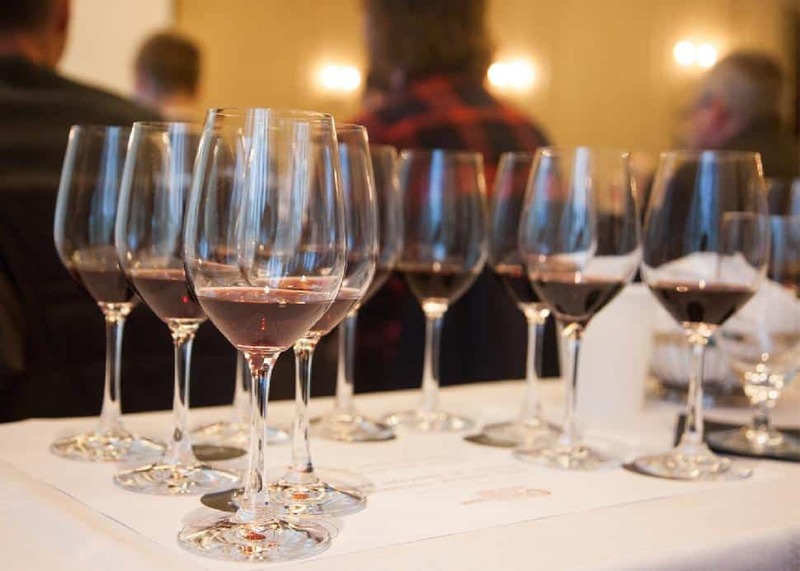 I was chatting with someone who’d never been to the tasting room event before—which can be overwhelming with hundreds of wines to taste—where do you even start?! My best advice would be to pick one varietal you love and sniff, swirl, sip and then spit (crucial if you are to truly get the most from the tasting room!) your way around the world, learning about the difference that terroir makes. There are still tickets available. Check out our guide to the wine festival here and snap up your tickets fast, as events generally sell out by opening day. Cheers! 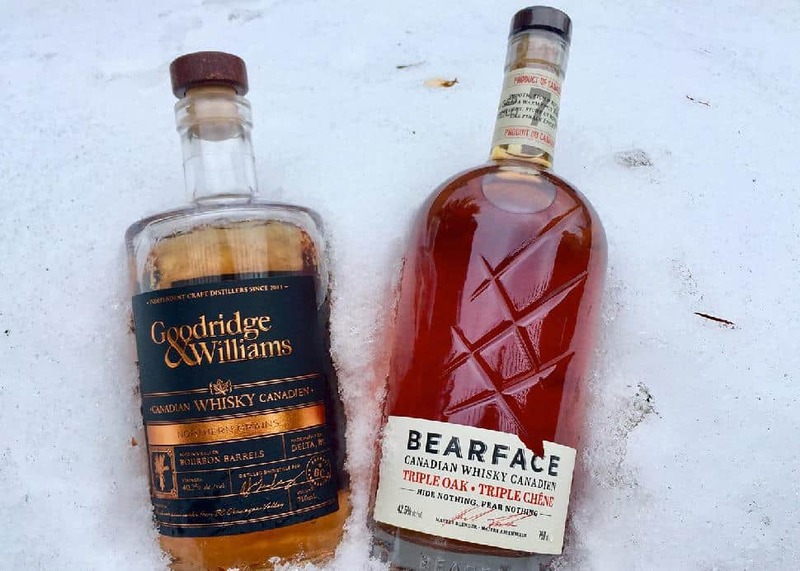 https://gwdistilling.com https://bearfacewhisky.comI’ve discovered not one, but two new whiskies that use wine barrels as part of their aging process. First up, Western Grains from Delta's Goodridge & Williams Distilling uses a blend of all-B.C. winter wheat, malted barley and rye, which they age in American white oak bourbon barrels for three years, then finish in French oak barrels from Okanagan wineries for 100 days. I tried sipping this on a snowy day in the Okanagan and it’s a perfect whisky for those who like their spirits ultra-smooth. It’s got a delicious caramel-toffee flavour and very little heat, maybe a good ‘starter' whisky for folks who are put off by stronger spirits? Next up Bearface from the Mark Anthony Group with a triple-barrel-aged corn whisky from Lake Huron in Ontario, which is aged for a minimum of seven years in ex-Bourbon charred American oak barrels, and then spends 70 to 90 days in French Oak barrels from Mission Hill before being finished in three-year-old Hungarian Oak (a first in Canadian whisky). I’d pick this for whisky drinkers seeking something new; this bear has a gentle bite with dried fruit and oaky spice flavours and a gorgeous creamy mouthfeel.